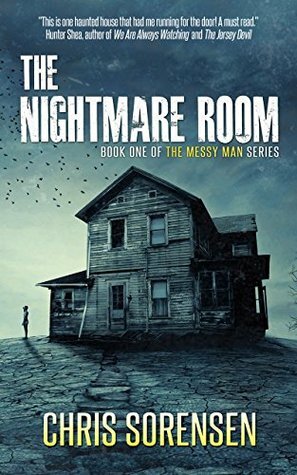 The Nightmare Room has been on my TBR since I saw it as a group read in a horror book club. The cover is delightfully creepy and the synopsis had me hooked! I decided to pick the audiobook when I found it on Hoopla through my local library. This story is about a man named Peter who moves to his hometown with his wife, Hannah, after a family tragedy. Peter's father's health has gone downhill and they find themselves moving closer to him for a fresh start. Although his family home is not an option, Peter's father does own a farmhouse that Peter and Hannah are able to make their own. Of course, because this is a haunted house book, things immediately begin to go awry. The Nightmare Room was a bit more layered than a lot of horror novels. There was a lot of background. A lot. Not only Peter's but also a mysterious boy and his father who make appearances from the beginning. I quite enjoyed the different aspects of this book coming together at the end for an answer I never would have expected. The horror was both unsettling and scary at times, although it never quite got to the point of making me feel like I should check over my shoulder. There's definitely a feeling of unease from page one. My main reason for not loving this book really had more to do with the writing and less to do with the story. While the story was enjoyable and the characters were fine, the writing felt akin to The Amityville Horror or Rosemary's Baby. Although there were modern electronics and references, this book felt like it was written in the 70s or 80s. I can't quite explain it except to say that some of the dialogue and ideas felt outdated. Overall, The Nightmare Room was a decent horror read. Peter was a fine main character, I enjoyed the complex backstory, and the horror was creepy enough. I just couldn't completely invest because of the writing. I'll definitely be watching for what Chris Sorensen publishes next though!